Hello everyone! So I was recently walking around my local mall and I decided to stop by Sephora. As I was looking around, all of a sudden I spotted a brand new counter with Sally Hansen nail polishes on it! I was seriously so happy to see that they now sell in my country. I have heard so many good things about the brand so I instantly picked up a couple polishes to try out. 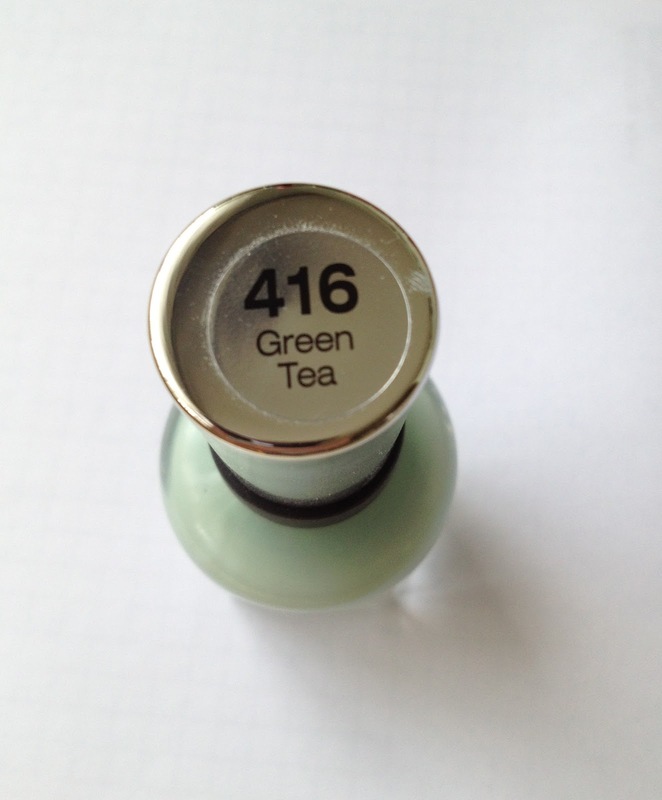 My favorite one is the one I have on today and it is their Salon Manicure line in the color 416 Green Tea. It’s a gorgeous minty green color with a little bit of grayish undertones to it. So first off, let me talk a bit about the packaging. I usually don’t like their bottles much; to me they have always looked a bit boring and cheap lol. However, the Salon Manicure ones have really nice quality and they look quite luxurious in my opinion. It has a really nice application too. The brush is really good and it has a pointed tip which I find that really eases the application process. It applies very smoothly and the best part for me is that it dries out super quickly. To get it as opaque as it is in the picture I applied two coats. I feel like it is shiny enough on its own, but you can also put on some top coat if you like. Have you ever gotten anything from the Sally Hansen Salon Manicure collection? This looks so good on you girly! What is in my beach/ pool bag?